We present an off-policy actor-critic algorithm for Reinforcement Learning (RL) that combines ideas from gradient-free optimization via stochastic search with learned action-value function. The result is a simple procedure consisting of three steps: i) policy evaluation by estimating a parametric action-value function; ii) policy improvement via the estimation of a local non-parametric policy; and iii) generalization by fitting a parametric policy. Each step can be implemented in different ways, giving rise to several algorithm variants. 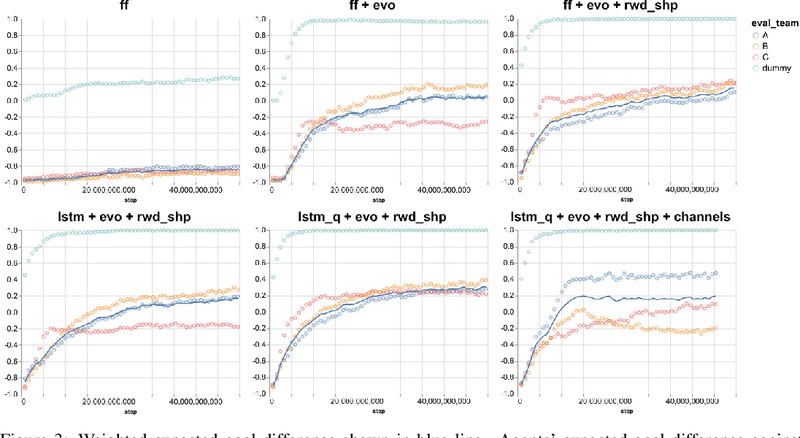 Our algorithm draws on connections to existing literature on black-box optimization and 'RL as an inference' and it can be seen either as an extension of the Maximum a Posteriori Policy Optimisation algorithm (MPO) [Abdolmaleki et al., 2018a], or as an extension of Trust Region Covariance Matrix Adaptation Evolutionary Strategy (CMA-ES) [Abdolmaleki et al., 2017b; Hansen et al., 1997] to a policy iteration scheme. Our comparison on 31 continuous control tasks from parkour suite [Heess et al., 2017], DeepMind control suite [Tassa et al., 2018] and OpenAI Gym [Brockman et al., 2016] with diverse properties, limited amount of compute and a single set of hyperparameters, demonstrate the effectiveness of our method and the state of art results. Videos, summarizing results, can be found at goo.gl/HtvJKR . We propose to learn a kernel-based message operator which takes as input all expectation propagation (EP) incoming messages to a factor node and produces an outgoing message. In ordinary EP, computing an outgoing message involves estimating a multivariate integral which may not have an analytic expression. Learning such an operator allows one to bypass the expensive computation of the integral during inference by directly mapping all incoming messages into an outgoing message. The operator can be learned from training data (examples of input and output messages) which allows automated inference to be made on any kind of factor that can be sampled. We propose an extension of the Restricted Boltzmann Machine (RBM) that allows the joint shape and appearance of foreground objects in cluttered images to be modeled independently of the background. We present a learning scheme that learns this representation directly from cluttered images with only very weak supervision. The model generates plausible samples and performs foreground-background segmentation. We demonstrate that representing foreground objects independently of the background can be beneficial in recognition tasks. In a variety of problems originating in supervised, unsupervised, and reinforcement learning, the loss function is defined by an expectation over a collection of random variables, which might be part of a probabilistic model or the external world. Estimating the gradient of this loss function, using samples, lies at the core of gradient-based learning algorithms for these problems. We introduce the formalism of stochastic computation graphs---directed acyclic graphs that include both deterministic functions and conditional probability distributions---and describe how to easily and automatically derive an unbiased estimator of the loss function's gradient. 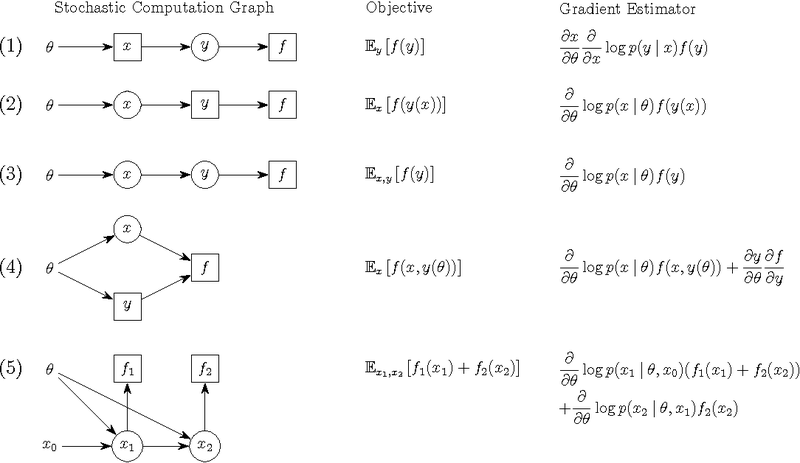 The resulting algorithm for computing the gradient estimator is a simple modification of the standard backpropagation algorithm. The generic scheme we propose unifies estimators derived in variety of prior work, along with variance-reduction techniques therein. It could assist researchers in developing intricate models involving a combination of stochastic and deterministic operations, enabling, for example, attention, memory, and control actions. Deep reinforcement learning (RL) algorithms have made great strides in recent years. An important remaining challenge is the ability to quickly transfer existing skills to novel tasks, and to combine existing skills with newly acquired ones. In domains where tasks are solved by composing skills this capacity holds the promise of dramatically reducing the data requirements of deep RL algorithms, and hence increasing their applicability. Recent work has studied ways of composing behaviors represented in the form of action-value functions. We analyze these methods to highlight their strengths and weaknesses, and point out situations where each of them is susceptible to poor performance. To perform this analysis we extend generalized policy improvement to the max-entropy framework and introduce a method for the practical implementation of successor features in continuous action spaces. Then we propose a novel approach which, in principle, recovers the optimal policy during transfer. This method works by explicitly learning the (discounted, future) divergence between policies. We study this approach in the tabular case and propose a scalable variant that is applicable in multi-dimensional continuous action spaces. We compare our approach with existing ones on a range of non-trivial continuous control problems with compositional structure, and demonstrate qualitatively better performance despite not requiring simultaneous observation of all task rewards. Partially observed control problems are a challenging aspect of reinforcement learning. 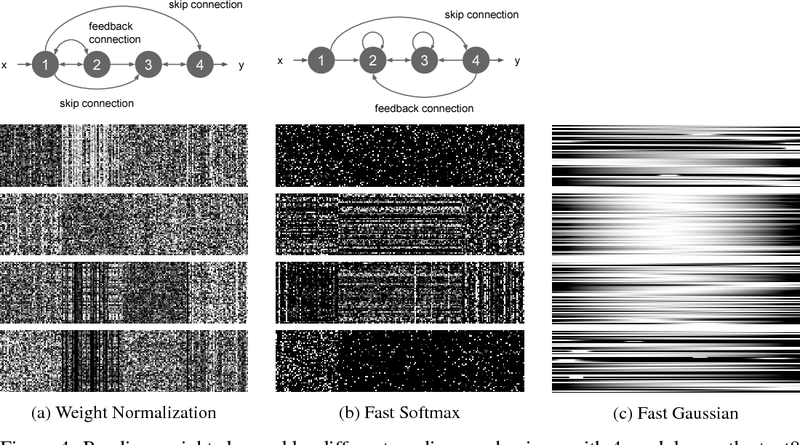 We extend two related, model-free algorithms for continuous control -- deterministic policy gradient and stochastic value gradient -- to solve partially observed domains using recurrent neural networks trained with backpropagation through time. We demonstrate that this approach, coupled with long-short term memory is able to solve a variety of physical control problems exhibiting an assortment of memory requirements. These include the short-term integration of information from noisy sensors and the identification of system parameters, as well as long-term memory problems that require preserving information over many time steps. We also demonstrate success on a combined exploration and memory problem in the form of a simplified version of the well-known Morris water maze task. Finally, we show that our approach can deal with high-dimensional observations by learning directly from pixels. We find that recurrent deterministic and stochastic policies are able to learn similarly good solutions to these tasks, including the water maze where the agent must learn effective search strategies. In this work, we consider the problem of autonomously discovering behavioral abstractions, or options, for reinforcement learning agents. We propose an algorithm that focuses on the termination condition, as opposed to -- as is common -- the policy. The termination condition is usually trained to optimize a control objective: an option ought to terminate if another has better value. We offer a different, information-theoretic perspective, and propose that terminations should focus instead on the compressibility of the option's encoding -- arguably a key reason for using abstractions. To achieve this algorithmically, we leverage the classical options framework, and learn the option transition model as a "critic" for the termination condition. Using this model, we derive gradients that optimize the desired criteria. We show that the resulting options are non-trivial, intuitively meaningful, and useful for learning and planning. The naive application of Reinforcement Learning algorithms to continuous control problems -- such as locomotion and manipulation -- often results in policies which rely on high-amplitude, high-frequency control signals, known colloquially as bang-bang control. Although such solutions may indeed maximize task reward, they can be unsuitable for real world systems. Bang-bang control may lead to increased wear and tear or energy consumption, and tends to excite undesired second-order dynamics. To counteract this issue, multi-objective optimization can be used to simultaneously optimize both the reward and some auxiliary cost that discourages undesired (e.g. high-amplitude) control. In principle, such an approach can yield the sought after, smooth, control policies. It can, however, be hard to find the correct trade-off between cost and return that results in the desired behavior. 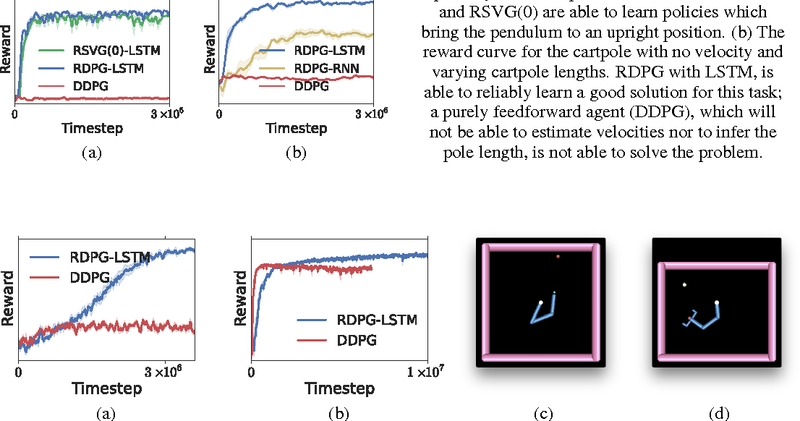 In this paper we propose a new constraint-based reinforcement learning approach that ensures task success while minimizing one or more auxiliary costs (such as control effort). We employ Lagrangian relaxation to learn both (a) the parameters of a control policy that satisfies the desired constraints and (b) the Lagrangian multipliers for the optimization. Moreover, we demonstrate that we can satisfy constraints either in expectation or in a per-step fashion, and can even learn a single policy that is able to dynamically trade-off between return and cost. We demonstrate the efficacy of our approach using a number of continuous control benchmark tasks, a realistic, energy-optimized quadruped locomotion task, as well as a reaching task on a real robot arm. 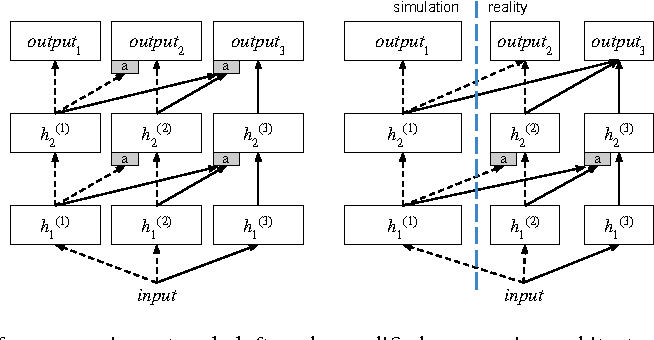 We present a unified framework for learning continuous control policies using backpropagation. It supports stochastic control by treating stochasticity in the Bellman equation as a deterministic function of exogenous noise. The product is a spectrum of general policy gradient algorithms that range from model-free methods with value functions to model-based methods without value functions. We use learned models but only require observations from the environment in- stead of observations from model-predicted trajectories, minimizing the impact of compounded model errors. We apply these algorithms first to a toy stochastic control problem and then to several physics-based control problems in simulation. 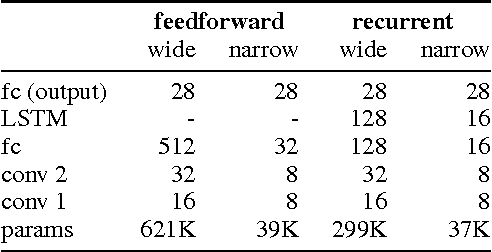 One of these variants, SVG(1), shows the effectiveness of learning models, value functions, and policies simultaneously in continuous domains. We introduce a new algorithm for reinforcement learning called Maximum aposteriori Policy Optimisation (MPO) based on coordinate ascent on a relative entropy objective. We show that several existing methods can directly be related to our derivation. 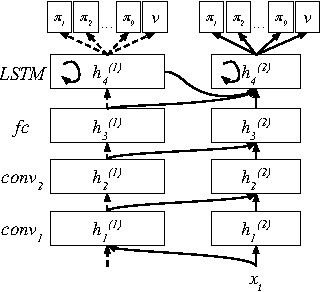 We develop two off-policy algorithms and demonstrate that they are competitive with the state-of-the-art in deep reinforcement learning. In particular, for continuous control, our method outperforms existing methods with respect to sample efficiency, premature convergence and robustness to hyperparameter settings while achieving similar or better final performance. Deep generative models have recently shown great promise in imitation learning for motor control. Given enough data, even supervised approaches can do one-shot imitation learning; however, they are vulnerable to cascading failures when the agent trajectory diverges from the demonstrations. Compared to purely supervised methods, Generative Adversarial Imitation Learning (GAIL) can learn more robust controllers from fewer demonstrations, but is inherently mode-seeking and more difficult to train. In this paper, we show how to combine the favourable aspects of these two approaches. The base of our model is a new type of variational autoencoder on demonstration trajectories that learns semantic policy embeddings. 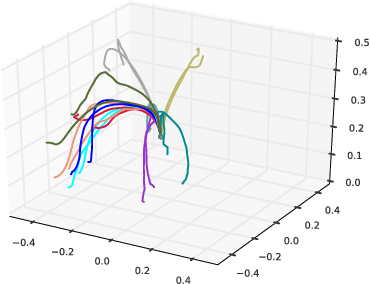 We show that these embeddings can be learned on a 9 DoF Jaco robot arm in reaching tasks, and then smoothly interpolated with a resulting smooth interpolation of reaching behavior. Leveraging these policy representations, we develop a new version of GAIL that (1) is much more robust than the purely-supervised controller, especially with few demonstrations, and (2) avoids mode collapse, capturing many diverse behaviors when GAIL on its own does not. We demonstrate our approach on learning diverse gaits from demonstration on a 2D biped and a 62 DoF 3D humanoid in the MuJoCo physics environment. Learning policies on data synthesized by models can in principle quench the thirst of reinforcement learning algorithms for large amounts of real experience, which is often costly to acquire. However, simulating plausible experience de novo is a hard problem for many complex environments, often resulting in biases for model-based policy evaluation and search. Instead of de novo synthesis of data, here we assume logged, real experience and model alternative outcomes of this experience under counterfactual actions, actions that were not actually taken. Based on this, we propose the Counterfactually-Guided Policy Search (CF-GPS) algorithm for learning policies in POMDPs from off-policy experience. It leverages structural causal models for counterfactual evaluation of arbitrary policies on individual off-policy episodes. CF-GPS can improve on vanilla model-based RL algorithms by making use of available logged data to de-bias model predictions. In contrast to off-policy algorithms based on Importance Sampling which re-weight data, CF-GPS leverages a model to explicitly consider alternative outcomes, allowing the algorithm to make better use of experience data. We find empirically that these advantages translate into improved policy evaluation and search results on a non-trivial grid-world task. Finally, we show that CF-GPS generalizes the previously proposed Guided Policy Search and that reparameterization-based algorithms such Stochastic Value Gradient can be interpreted as counterfactual methods.